Our Paris France Vacations last day in Paris of three days. Ate lunch at a great restaurant in the 8th arr. All the local business folks were eating here on their lunch break. 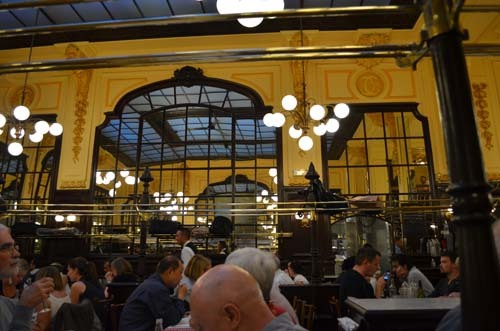 Very good food in Paris can often be found by checking if the place is filled with locals. After the museum we searched for the best Mille Feuilles (napoleons) one of the more famous French desserts. 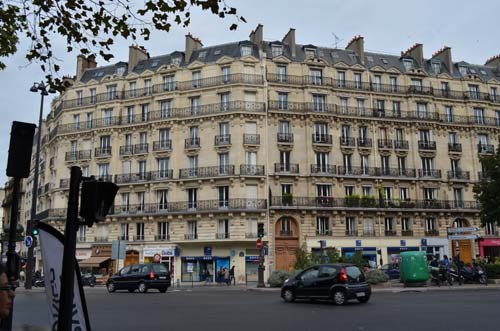 In Yelp one was listed in the Marais. Found the place and there were no tables available plus it was very fancy and not what we had in mind at all. Instead we found a modern café called Merci 111 boulevard Beaumarchais 75003 Paris tel: 01 42 77 00 33 Métro: Saint Sébastien-Froissart (line 8) Café in front and a big hip arty shop in the back. Good pastry and delicious fresh fruit juice. I had a very satisfying “fondant au chocolat” another of the famous French desserts. A chocolate cake with a soft chocolate middle. Next stop Les Halles. Les Halles is a modern shopping mall filled with shoppers. I wanted to visit the clothing shops recommended by my Megan and Claire: Camaïeu, Promod, Mango and Carroll. Bought myself a dress at Promod. Nice, inexpensive and looked good (still does). Dinner on Rue du Faubourg Montmartre, just outside of Montmartre proper at Le Bouillon Chartier. An old bouillon house. Huge, jammed packed with people and really beautiful. 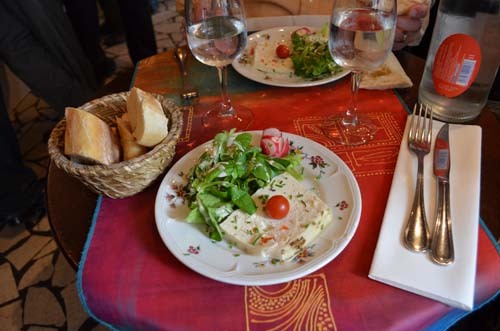 Very typical French peasant food. Not fine cusine but good typical old fashioned French food. Would never have been here had it not been for Thierry, our French culture reporter for this website. We never got to see him because his car broke down and he couldn’t get into Paris. Ah well, next trip we will get together. 7am cab to CDG for an 11am flight home to California. Cab $75. Worth it. Less stress knowing you are the first and only stop at the airport. Home by 2:15pm local time. 16 hours travel door to door. Je suis fatique! 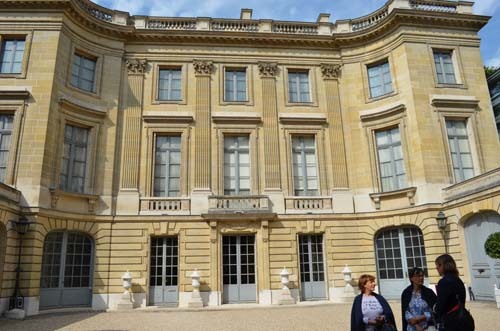 I hope this recount of our 3 days in Paris has given you some new ideas and made your Paris France vacation planning easier.